Join me for episode 21 for all your yarn news, reviews and general woolly love! You can listen here, on iTunes and now on Stitcher Radio for Android, IOS et al! Edinburgh Yarn Festival [14-15 March] Podcast Lounge news. Mica put out my sneaky peek post on events coming up in the Podcast Lounge on the EYF website this week. You can also meet the Podcast Lounge team – my merry band of muckers who are all bringing you something in the lounge sessions. Felix Ford, Jo Milmine, CC & Damaris Almon and Louise Hunt are my dream team and are all bringing a little bit of what you can expect from their shows to the EYF and I can reveal some of those sessions. Attend the live Sock Surgery with Shiny Bee’s Jo Milmine and designer Clare Devine. Arm yourself with your sock WIPs and put your questions to Clare. MORE WILL BE REVEALED SOON! This week Carol Meldrum confirmed to do a Technique Agony Aunt spot on the Saturday. She will be there to answer all your questions on gauge and technical woes. You can email questions for Carol to me louise [at] knitbritish [dot] net, or use the contact form. I am also organising something suitably British for another session and do tune in next time to hear more! I have an AWESOME give-away that you need to keep listening for – TWO pairs of weekend entry tickets for the EYF – courtesy of Jo and Mica….keep listening to this episode for the details! 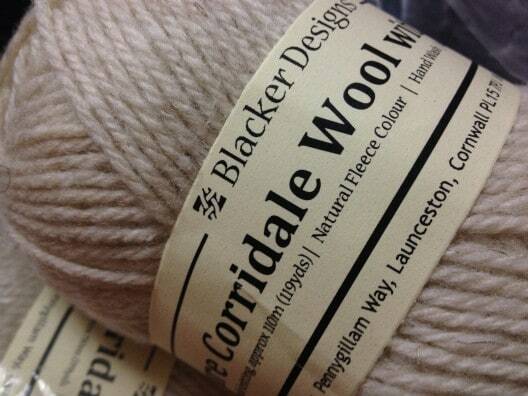 In Blacker Yarns January Newsletter they threw down a challenge to try one breed yarn in both the woollen and worsted preparation. I have the Corriedale and Flax DK yarns and I am going to knit socks with them. The flax blend is also available with BFL in 4ply and this is available in both preparations too. You can find the items here. Sue Blacker describes the differences in the processes in this article for Wovember. If you fancy joining me, I will open a thread in the KnitBritish ravelry group and we can share our findings. It’s not really a KAL, but it would be interesting to know what you think. You can also share your thoughts with Blacker in their Rav group. We will revisit the subject after the EYF! I am ashamed to say that Yarn Stories yarn and design collaborations had totally gone under my radar. 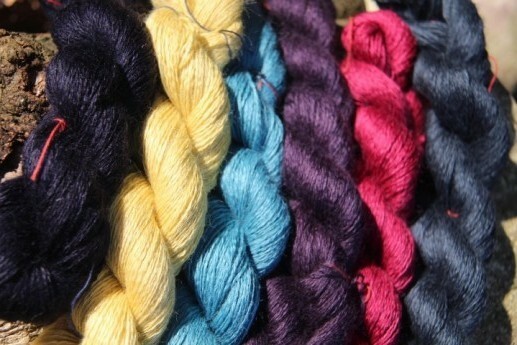 Yarn Stories are passionate about the Yorkshire spinning and textile industry and create a very fine merino and alpaca blend yarn at their Huddersfield mill. They work with an extensive and really impressive list of designers to create bespoke designs for their yarn (which comes in 20 colours). I will be reviewing their yarn soon and hopefully bringing you an interview, but do check out their website and fall a little in love. For a limited time only, if you sign up to their newsletter you will receive a great colour-work hat pattern. Still knitting the Camille Cardigan by Gretchen Ronnevik, in Debbie Bliss Riva. 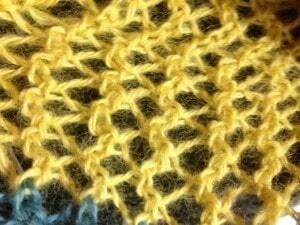 Also knitting Viewfinder Cowl ,by Tin Can Knits, in this week’s reviewed yarn! 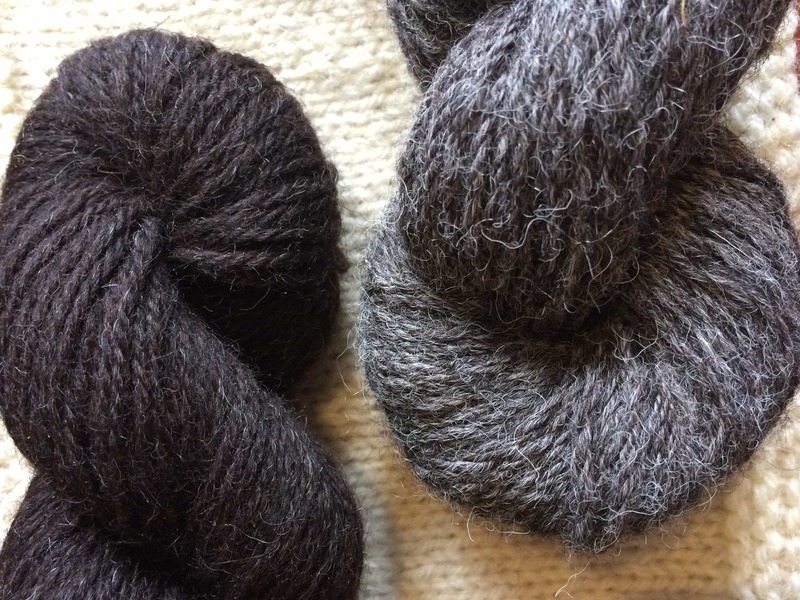 Today, I give you a working review of the new BFL Alpaca worsted-spun 2ply lace weight, produced for weaver Laura Rosenzweig and her company Lauras Loom. Laura is a real wool champ and really cares about provenance. You can view her map here to see where all the sheep, processing, dyeing, etc is done. This BFL comes from the Yorkshire Dales and the alpaca is from Cumbrias Town End Alpaca. When you team the softest sheep wool with the just-about the softest animal fibre then it is a match made in yarn heaven. Listen in for my verdict. 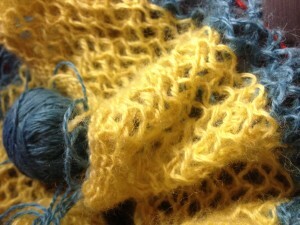 Mentioning Joji Locatelli’s new design, Falling shawl, and Shetland Trader’s Haroldswick stole. You can purchase the yarn in 50g/250m or 100g/500m skeins and they cost £7.50 (correction from podcast) and £14 respectively. Town End Alpaca also have a sport weight in this yarn. 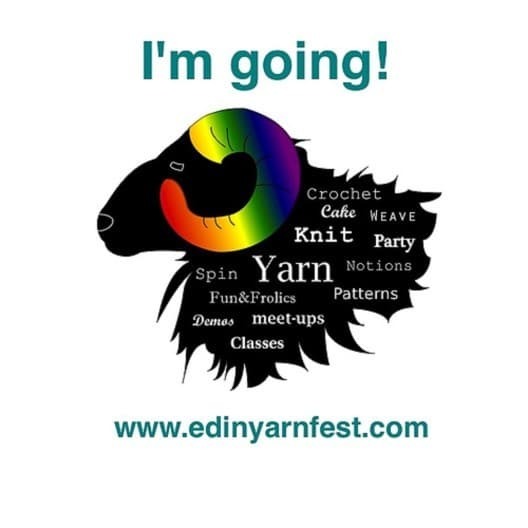 To be in with a chance of winning one of TWO PAIRS of weekend entry tickets to the Edinburgh Yarn Festival (Ordinarily £12 each) then please enter via the Rafflecopter entry below. Please remember that to be eligible you must enter this way, as posting a comment without doing this will mean you have not been entered. The contest will open at midnight on Saturday, 31st January and close on Friday, 20th February. Good luck! Thanks so much to Jo and Mica for donating that generous prize. If you feel you can’t wait until after 20th to see if you have won, Edinburgh Yarn Festival tickets go on sale on Sunday, 1st February. Thanks for listening to the podcast. I will be back in a couple of weeks with more of the same! I close with a song I heard on Radio 4 this week, which had a special week on knitting programmes. The song is by English music hall comedian Arthur Askey. It is from the 30s and so we will forgive the implication of knitting as ” A useful occupation for a nice little girl”! Opening music: Jazz Hole, Blue Wave Theory. Available on musicalley.com. We’ll be travelling up from Oxford, and really looking forward to stroking and buying all the lovely British yarn available. I’m travelling from Edinburgh, in fact, I can almost see the Corn Exchange from my flat, so it’s just a little hop, skip and a jump for me to get there! Yay! I’m most looking forward to buying lots of amazing yarn. I’ve decided to chose patterns that I want to knit and then try and get yarn there for those patterns, rather than my usual ‘buy all the things’ then try to decide what to do with them! If I won tickets I’d be travelling up from Edinburgh. Too many things I’d love to see, including baaramewe, old maiden aunt, ECY…and obviously your lovely self! Ignore that last one! I’d be travelling from Lancaster! My brain has gone crazy! I’ll be travelling from the other side of Edinburgh – it’s exciting that it’s so close to me and I’m looking forward to getting to see all the vendors and all their wares! Hi Louise, I am travelling from just north of Dundee so just a pop down the road compared to some! I’m so excited by the vendors, pod meet up and the class I’m doing, so basically all of it. If I won it would let me bring friends and maybe even come back on the Sunday! I’m travelling from Denmark with my sister. I look forward to meeting all the lovely podcasters and knitters whom I have met through Ravelry. Obviously, I also look forward to seeing all the beautiful yarns that we don’t get in Denmark! I will be traveling from Aberdeen. 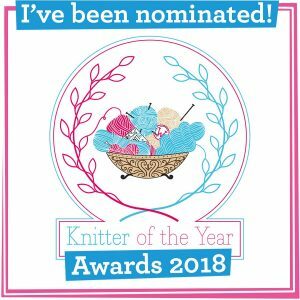 I am looking forward to meeting fellow knitters, designers, lovely podcasters, squishing lovely yarn (and buying some), and being inspired by all the colours, textures, people, etc. If I won tickets I would be travelling up from Nottingham with one of my daughters. We are both knitters, crocheters and spinners so will be looking at everything we can fit in. 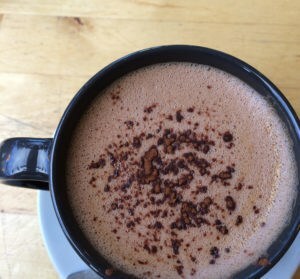 Too many yummy things to narrow it down…. Well, going abroad for the first time since I was 11 would be awesome alone. Traveling from Toronto Ontario. I’m very interested in seeing some old breed wool. Exciting! If I won tickets I’d be travelling up from London, and fitting in a visit to a very new baby. Which means I’d be looking out for a very soft skein of something special! Myself and my lovely DH will be travelling up from Manchester. As I am new to knitting socks and loving it, I will be checking out all the different sock yarns available. I’m travelling from Liverpool with five friends and I’m most looking forward to my fair isle inspiration class with Felix. I’d be travelling from Isle of Skye (all blue and white at the moment) to scoop up P in Lancashire and come home via Edinburgh especially for the drop spindling. I’ll be coming from just up the road hoping not to bring the children with me. I’ll be travelling up from Hertfordshire. Looking forward to everything, can’t possibly decide one thing over another!!! I’m travelling all the way from London. Just looking forward to meeting lots of lovely knitters and generally getting high on yarn fumes! I am travelling from northern Germany! 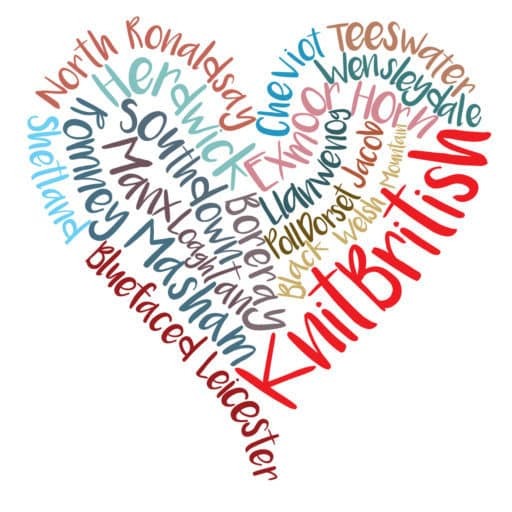 I am looking forward to meet lots of lovely knitters, designers and being able to buy all the yummy yarns we do not get overhere, specially british yarns of cource! My new passion is fair isle knitting and a I am interested in every aspect from history, the various designs and yarns you can use.I did live in the UK many years ago while my husband was doing research in Biochemistry and I have been to Edinburgh once.